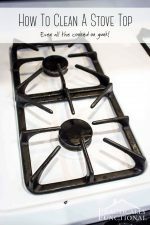 Home > Cleaning > Cleaning Tips > The Absolute Easiest Way To Clean Stove Top Grates! Get rid of that baked on grease once and for all! 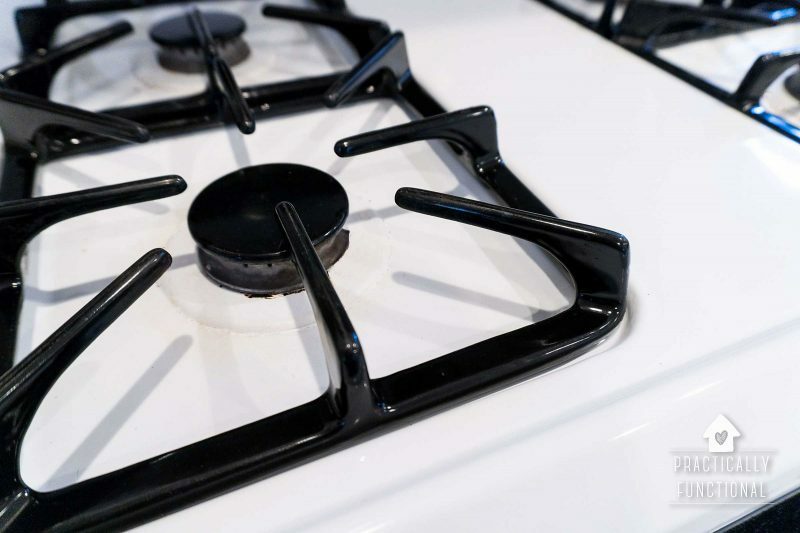 This is the absolute best way to clean stove top grates – and guess what? It only takes ONE step! I found the best way to clean a stove top a while back, which even defeats all that baked-on gunk without much scrubbing, but it doesn’t work so well on the stove top grates. The grates on our stove are heavy cast iron, and anytime something bubbles over while cooking, it just bakes onto the grates and STICKS! 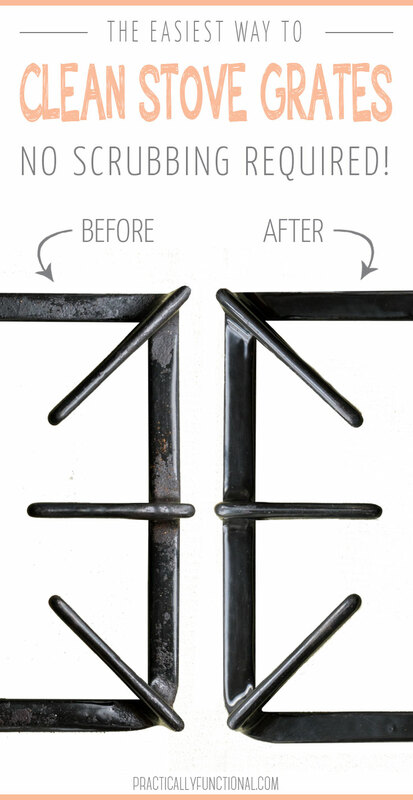 Luckily, there is a super easy way to clean stove top grates, no scrubbing required…all you need is ammonia! Just put the grates into a baggie with some ammonia and let it sit overnight, and in the morning all that black gunk will rinse right off! The great thing about using ammonia for cleaning stove top grates is that it works REALLY well, and requires absolutely no scrubbing! The gunk just rinses off the next morning! Ammonia works great to clean the inside of your stove too; might as well clean both while you’re at it! 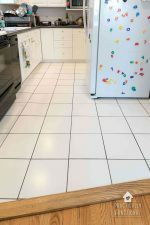 But if you’re worried about using such a strong chemical for cleaning, there are other ways to clean stove top grates using baking soda or vinegar. The only issue with those methods is that they require a lot of scrubbing because the chemical reaction between the cleaner and the baked-on gunk isn’t as strong. But it does work, if you prefer a more natural method! Safety Note: Ammonia is an extremely strong chemical, so be super careful when using it! 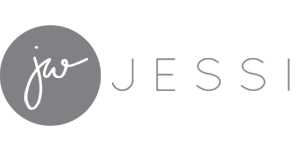 It is definitely safe to use, but just use basic precautions and don’t get it in your eyes, etc. You can always wear gloves and/or a respirator when using it to protect your skin and lungs if you want to be extra careful. And NEVER mix ammonia with bleach or any bleach-based cleaning products; it will create a toxic vapor that can be lethal! 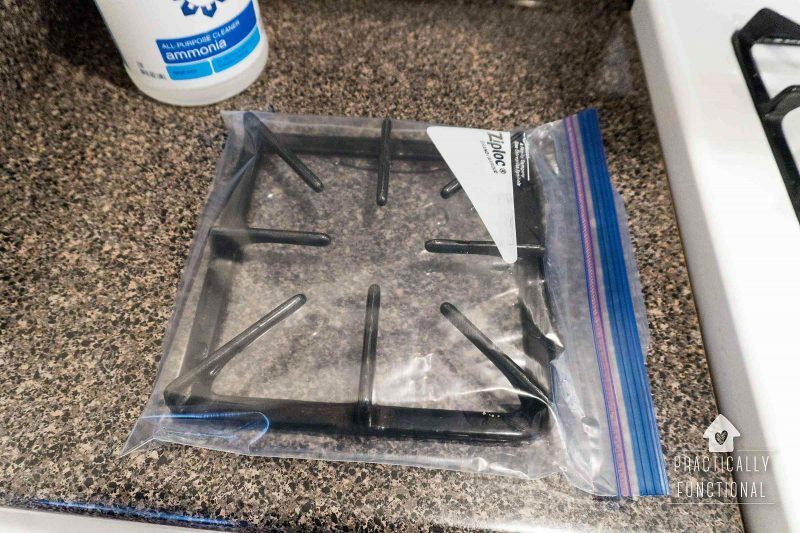 Take one dirty stove top grate and put it into a gallon-sized Ziploc bag. For most regular-sized burners, a gallon-sized bag should be big enough, but if your grates are oversized just put them in a kitchen trash bag. Add 1/4 C to 1/2 C of ammonia to the bag, then seal it closed. (If you’re using a kitchen trash bag, just tie the bag closed). You don’t need to immerse the grate in the ammonia; it’s the ammonia fumes that clean the stove top grates, not the actual liquid. 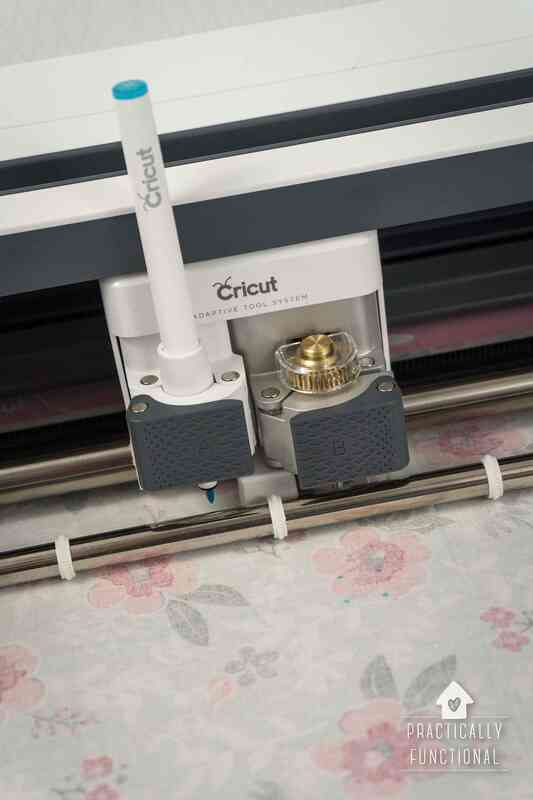 Just make sure there’s some air in the bag when you close it up so the fumes can move around. 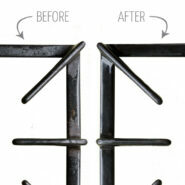 Repeat for all of your stove top grates, then set the bags aside overnight. In the morning you may see some condensation on the inside of the bag from the fumes floating around all night. 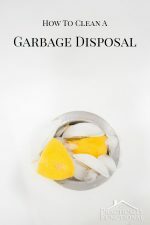 Open the bag over the sink and dump out the contents (be careful, it’s going to be SUPER stinky from those fumes being trapped in the bag all night!) You may want to open some windows or do this outside to get some air circulating! Then pick up the stove top grate and rinse it off under warm running water. You should see the flakes of black, burnt-on gunk rinsing right off! If your grates are super dirty you may want to rub them a bit with your fingers while holding them under the running water to help loosen the gunk. If the gunk is really really stuck on there, you can use a scrubby sponge to loosen it, but you shouldn’t need to. My grates have never been cleaned before (as far as I know) and just rubbing a little with my fingers loosened up all the gunk! 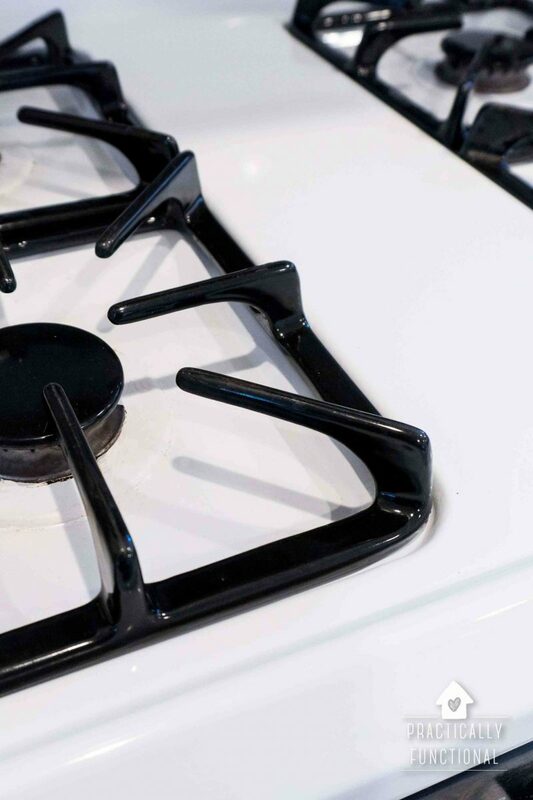 All the gunk should rinse right off, and your stove top grates will be totally clean! Look how shiny they are! 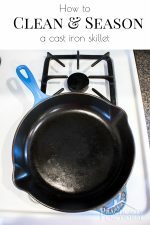 I couldn’t believe how clean my stove top grates were the next morning, and I didn’t have to actually “clean” anything! I just rinsed them off for a minute and they were totally clean! « Are Power Words Replacing New Year’s Resolutions? Great idea, can’t wait to try it. When I freeze something in these large bags and later use them,I’d like to wash them and reuse. They never can be clean enough to use again. But, they could be used for cleaning stove grates! What am I doing wrong? The ammonia causes my gallon zipper bags to leak. 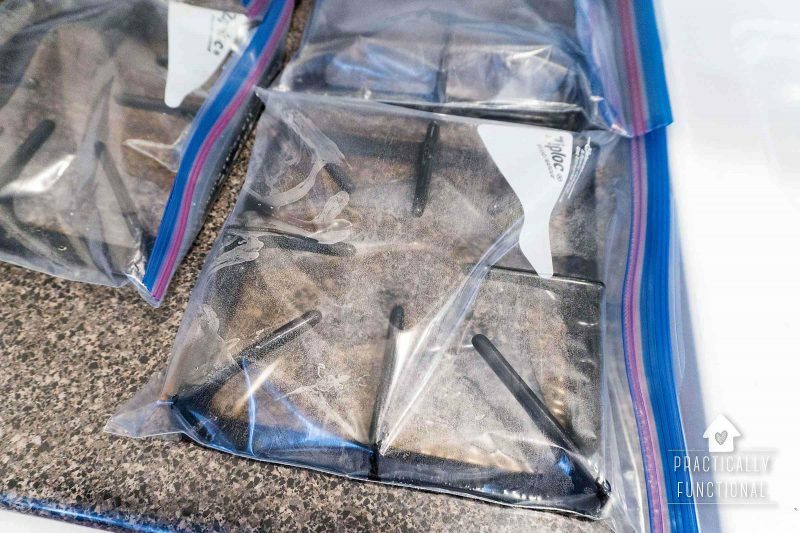 Uh oh… are the bags leaking from the zipper or from the actual edges of the bag itself? I haven’t had any issues with the bags leaking from the bag itself, just the closure a few times when I didn’t get it all the way closed correctly. You can also try large kitchen trash bags and just tie the top closed, then leave the bags upright so the tie is at the top and the liquid doesn’t actually touch the knot.